Malpelo Island, a unique basaltic monolith arising from the abyss ..
Malpelo is a remote volcanic island swept by the Humbolt Current located 506 km off the Pacific coast of Colombia which rises from 4,000 meters deep to 300 meters above the surface. In 1995, The Colombian National Government declared Malpelo a marine protected area in the Fauna and Flora Sanctuary category. In 2000, Malpelo gained status as one of the world’s 15 “Sensitive Sea Areas” with the International Maritime Organization-IMO and in 2002 the marine protected area was extended again. In 2005, Bird Life International designated it as “Important Area for Bird Conservation” and in 2006 the marine protected area was enlarged to cover a radius of over 25 miles around the island with. In 2007, Malpelo was declared Site of Natural Heritage by UNESCO and in 2016 its marine protected was again extended and now covers more than 10,000 square miles making it one the worlds larges marine protected areas. The Malpelo Marine Park is the largest no-fishing zone in the Eastern Tropical Pacific, providing a critically important habitat for internationally threatened marine species, and is a major source of nutrients resulting in large aggregations of marine biodiversity. The protected marine area provides a sanctuary for breeding populations of migrating sharks, whale sharks, giant grouper and billfish and it is one of the few places in the world where sightings of the short-nosed ragged-toothed shark, a deepwater shark, have been confirmed. The Humboldt current and rich up-welling’s of plankton provide conditions around that sustain a high biodiversity and biomass of marine life. Widely acclaimed as one of the top diving sites in the world Malpelo supports has populations of large predators and pelagic species (e.g. aggregations of several hundred hammerhead sharks and over 1,000 silky sharks, whale sharks and tuna have been recorded) in an undisturbed environment where they maintain natural behavioral pattern. 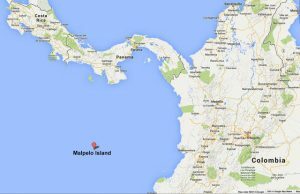 In 2016 Malpelo was designated a Hope Spot by the joint Mission Blue/IUCN Hope Spots Council. Mission Blue and IUCN’s Hope Spots initiative’s mission is to ignite broad public support for a global network of marine protected areas large enough to protect and restore the ocean’s health. 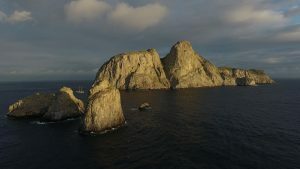 The driving force behind the success of the Malpelo Hope Spot is the community of ocean advocates and citizen scientists promoting its protection. Sandra Bessudo, Marine Biologist and Founder of the Malpelo Foundation, is at the heart of Malpelo and its strongest spokesperson. Hope Spots are special places that are critical to the health of the ocean — Earth’s blue heart. 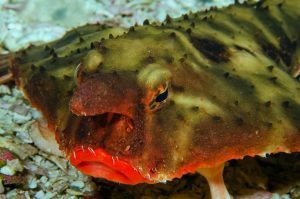 Hope Spots are about recognizing, empowering and supporting individuals and communities around the world in their efforts to protect the ocean. Dr. Sylvia Earle introduced the concept in her 2009 TED talk and since then the idea has inspired millions across the planet. The Hope Spot map can be viewed online here.